The the wife of the 62-year-old Egyptian oligarch Ossama Fathi Rabah Al-Sharif, 27-year-old model Xenia Deli took part in the unusual experiment of the channel "Friday!". Xenia went to Krasnodar - according to the idea of ​​the reality show "The Secret Millionaire" Xenia had to hide her identity, pretending to be a migrant worker from Moldova. In her new image, Xenia had to look for a roof over her head and work that could feed her. At the end of the release, Xenia had to find exactly those people from her new circle of friends who really need material help. Xenia was ready to give up at the very beginning of filming: "This situation, of course, is difficult for me. And it's difficult when you are refused, when, in principle, you do not deny yourself anything in life. " But later Xenia got lucky, she was able to find kind people who decided to help the "homeless girl". The heroine of the third series is Xenia Deli. A secret millionaire was given a bag, 1000 rubles, clothes, a phone and sent to Krasnodar. Day 1. Arrived in Krasnodar. On the way from the airport to the center she asked the conductor in the trolley to help, but she refused at first, then agreed to call back later and help with the overnight stay, but she did not call. Secret millionaire was advised to look for work at the market, but the girl did not want to go anywhere because of the lack of necessary documents. Xenia was hired to work in a bread stall so that she could sell the products for take-out. After working in the market, a millionaire was sent to a mother of many children as a courier - to bring her bread. In a new place Xenia was fed and given shelter. Day 2. Secret millionaire Xe nia Deli went to look for work. The girl washed the windows in the store for 500 rubles and cleaned the barber shop for 250 rubles. The girl called from the bread stand and offered Xenia a new job - cleaning in the "spa", which turned out to be a usual sauna with prostitutes. A secret millionaire had to clean sauna for 1,000 rubles, work as an administr ator, and take food out to visitors. Somebody tried to coming on to Xenia and she escaped from the sauna. Day 3. Xenia began to look for someone to help - the secret millionaire received the address of the shelter for animals, "Krasnodar" and went there. The participant of the show was afraid of big dogs and she had to overcome her fear to feed the hungry animals. There she was offered a new job at the gas station. Xenia was offered to spend the night with Uncle Misha, but she refused and went to sleep in the hostel. Day 4. Xenia Deli went to the stadium to get acquainted with Uncle Misha. It turned out to be a homeless old man for whom volunteers rented a room and collected money to buy a house. A secret millionaire helped Uncle Misha sell socks, but it wasn't working and she bought all of his goods herself, and then they went to eat in a snack bar. They were not allowed because of the dress code and they had to buy food from the stall and eat on the street. She spent the night at the hostel again. Day 5. 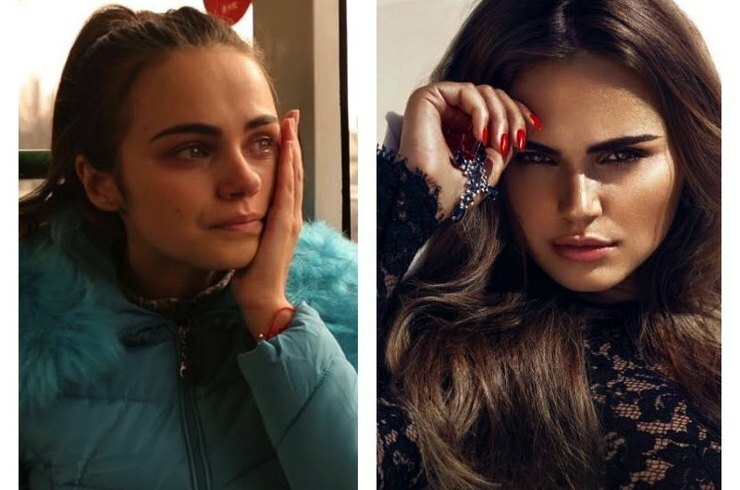 Secret millionaire Xenia Deli disclosed her identity and gave away the money. She donated 500 thousand rubles in cash and 350 thousand rubles in goods (food, couches, anti-dog collars) to shelter for animals "Krasnodog", 1 million rubles to Uncle Misha. 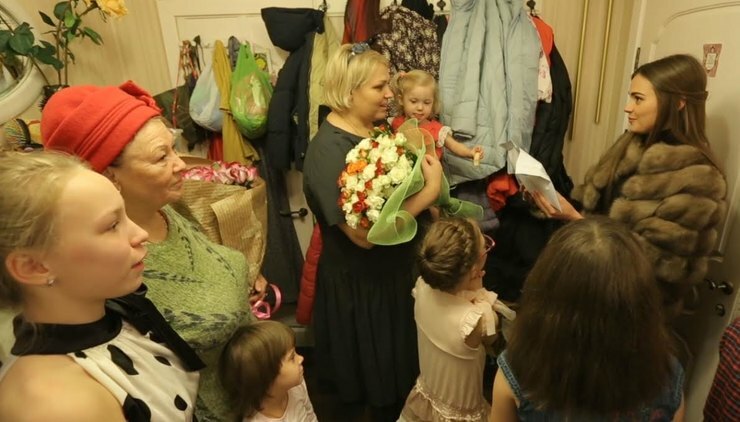 A large Usenko family received from Xenia 2 million rubles, toys and an invitation to visit Egypt.